AC/DC guitarist Malcolm Young is taking a break from the band because he's in "ill health." The 61-year-old founding member of the Australian rock band is going to take some time to focus on his heath, the band says. AC/DC posted a statement on Facebook Wednesday, revealing: "After forty years of life dedicated to AC/DC, guitarist and founding member Malcolm Young is taking a break from the band due to ill health. Malcolm would like to thank the group's diehard legions of fans worldwide for their never-ending love and support." But AC/DC plans to keep on rocking: "The band will continue to make music," the statement explained. Young co-founded the Australian rock band, which has been putting out albums since 1975. 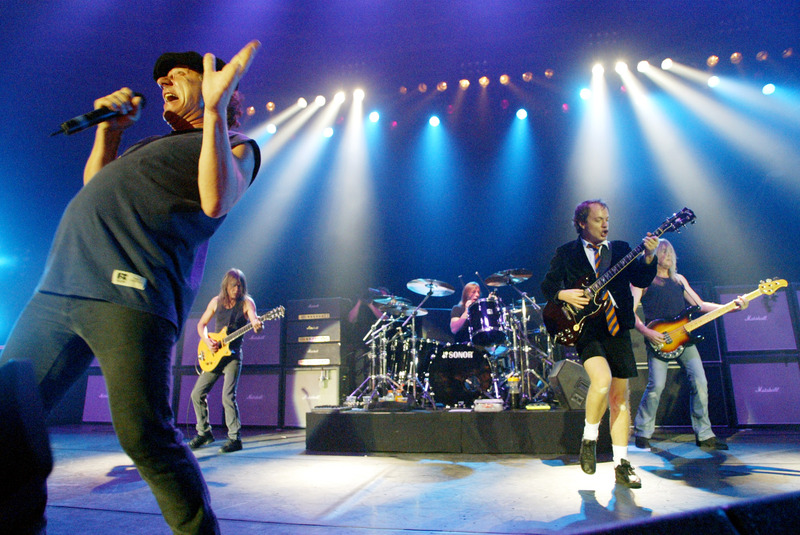 The group's most recent studio effort, "Black Ice," surfaced in 2008, marked AC/DC's first new studio album since 2000's "Stiff Upper Lip." AC/DC also features singer Brian Johnson, guitarist Angus Young, bassist Cliff Williams, drummer Phil Rudd and vocalist Bon Scott.